This article examines the domestic influences on US and Chinese nuclear forces. While strategic factors largely drive each side's, underappreciated domestic and organizational factors also influence outcomes. Partisan politics shape US policies regarding arms control, missile defense, and the roles of nuclear forces. China has its own—more opaque—politics. 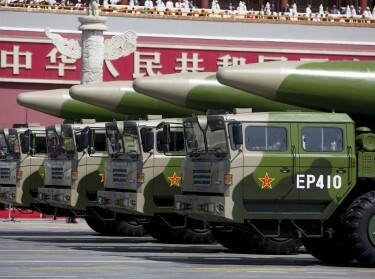 Organizational factors have affected the status and role of the Chinese Rocket Forces. Constituencies for nuclear weapons have gained ground, and the military services appear to be competing for nuclear missions. The absence of organizational firewalls within the Rocket Forces suggests that assertive operational practices might bleed across different parts of the organization. These domestic influences on US and Chinese nuclear policymaking are likely to have interactive and accelerating effects. Both sides will assume measures taken by the other are driven by strategic intent, when the actual drivers may be mixed. To the extent that domestic factors are responsible, the resulting spirals of suspicion and conflict will be inadvertent—but may nevertheless take on a life of their own. While strategic nuclear interactions are not currently at the center of the bilateral relationship, they may come to be so in the future for all the wrong reasons. Eric Heginbotham, Michael S. Chase, et al.